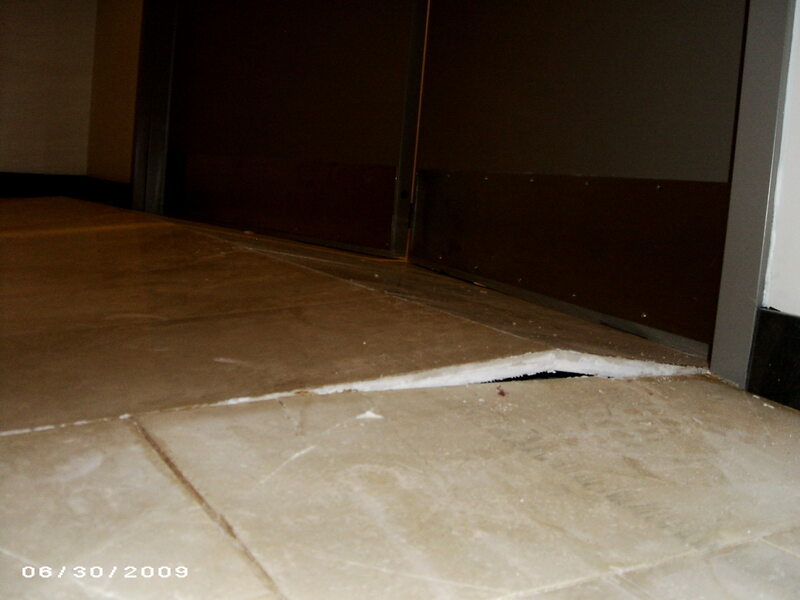 I can’t recall how many times people have told me they heard a loud “crack” in the night, and when they investigated they found that a large area of their tiled floor had lifted an inch or two off the substrate beneath it. In the tile business the phenomenon is called “tenting,” in that the result often looks like two rows of tile pitched together into a peak. Other times the affected area will simply delaminate without displaying the tenting effect. It’s still tenting, though, just a different shaped tent. 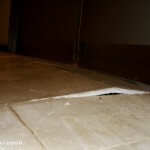 Close inspection often shows that more than one area of the floor has delaminated. Several sections might have lifted, not necessarily simultaneously but very close to it. And then, at times the delamination is only apparent when the floor is tapped upon or when someone walks across it wearing high heels. The floor doesn’t sound solid; it sounds “hollow” instead. 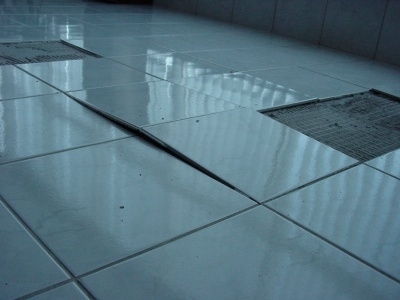 There are several reasons why a tile floor might delaminate: the floor might not have been cleaned prior to tile installation; the setting mortar might have partially dried before the tiles were placed in it; the tiles themselves might have had dust or other contaminants on their backs. There is one predominant reason, however, that tiled floors delaminate and tent, and that is a lack of movement accommodation. You see, tile has a much different rate of expansion and contraction (coefficient for expansion) than does concrete, for example, a material that ceramic tiles are often installed directly upon. Other common tiling substrates will also expand and contract differently than ceramic and stone tiles. And we must realized that everything in this world moves; it is in constant flux. Let’s get back to concrete, though, because concrete expands and contracts to a higher degree than many other tiling bases. The difference between concrete’s rate of expansion (and contraction) and that of ceramic tile is about 10 to 1. A concrete slab one hundred feet across can grow and contract over half an inch. It only takes a fraction of that movement to cause a tile floor to delaminate. 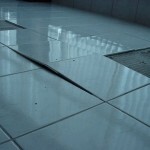 Knowing this, tile setters employ breaks in tiled floors to accommodate that movement. Soft “movement joints” at specified intervals will in essence divide very large tiled surfaces into smaller expanses and thus lessen the effect of substrate movement. The joints are then filled with flexible material instead to tile grout. In addition to movement joints in the tiled field, perimeter movement joints are used where tile floors abut impediments to movement, i.e., walls, cabinets and the like. 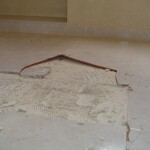 Whereas smaller tiled floors may not need movement joints in the field of tile, all tile floors need perimeter movement joints, and it is the lack of perimeter joints that most often contributes the greatest causal force to a tented floor, even though other factors — contaminants, skinned over setting mortar and other installer errors — may come into play also. The fact that I used concrete floors as my example doesn’t eliminate other tile substrates from the need for movement joints. All substrates move, albeit some less than others. 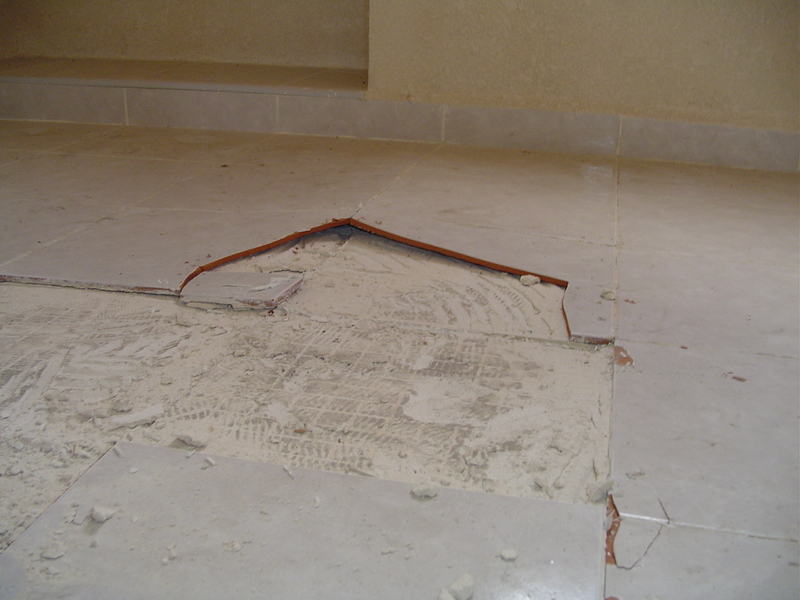 Cement backer board, for example, is an excellent base for ceramic tile when the board is properly installed, but movement joints must still be provided. Various tiling membranes, both sheet and semi-liquid, can improve longevity of tiled floors over any substrate, but every manufacturer of such membranes will specify that movement joints be employed. Properly installed tile floors will last virtually forever. Movement/expansion joints will help assure that outcome.